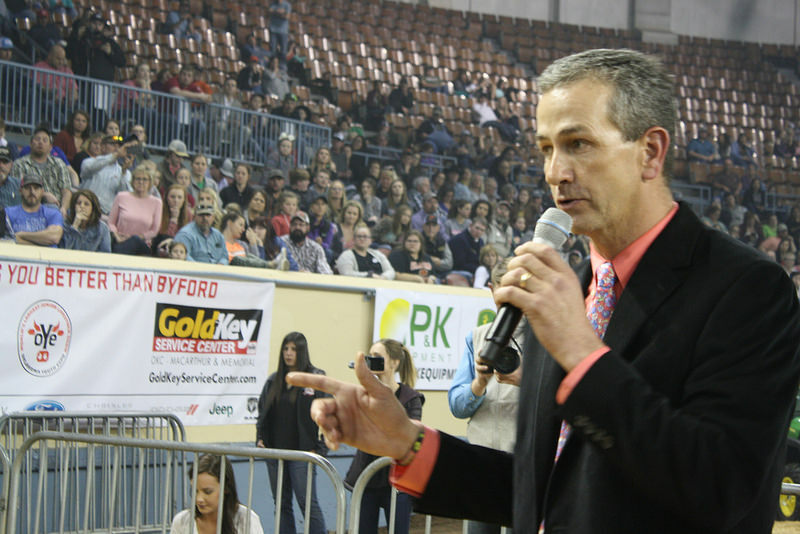 Radio Oklahoma Ag Network Farm Director Ron Hays had the chance to speak with this year’s market barrow judge, Mark Hoge, during the 2018 Oklahoma Youth Expo this past week. Hoge has judged the show before and insists that each time he has come back - the quality of the show, its participants and the animals continue to improve. He offered his perspective as a judge on what livestock shows mean to him and to those that participate in them. Listen to their full discussion recorded ringside during the 2018 OYE market barrow show. Hoge says what he loves most about livestock shows and the work behind the scenes that goes into each event, is that ultimately, the students are getting a hands-on education in agriculture. He believes the skills and life lessons learned and demonstrated at shows and in preparation for them equip students with practical knowledge that can be applied later in their professional lives. Growing up and still to this day, Hoge says that production agriculture has been one of the biggest influences in his life. He and his wife have made sure their three children spend time in the barn each day with them and as a family, the Hoges try to pass on their knowledge of agriculture to the next generation. He says livestock shows are a great way to spend time as a family and says youth events like OYE across the country are strong and vibrant.